Too Much Horror Fiction: How Can I Understand the Flies? Be afraid. Be very afraid. Follow-up to the Anson original. 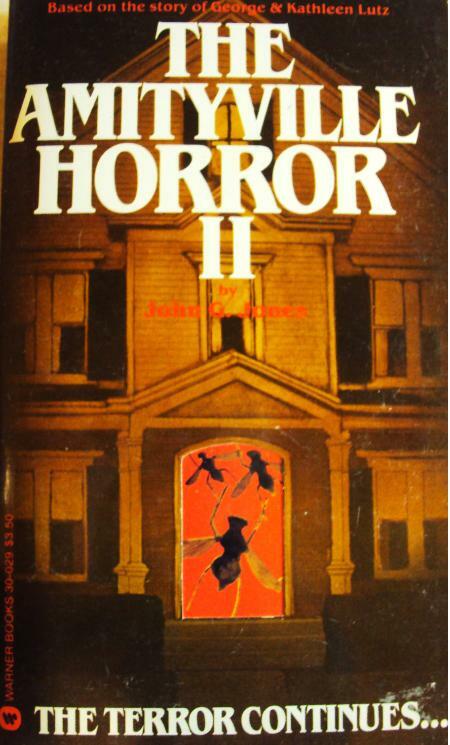 John G. Jones continued writing Amityville novels even into the 21st century, if you can believe it. Ha ha ha, yeah that jumped out at me too. 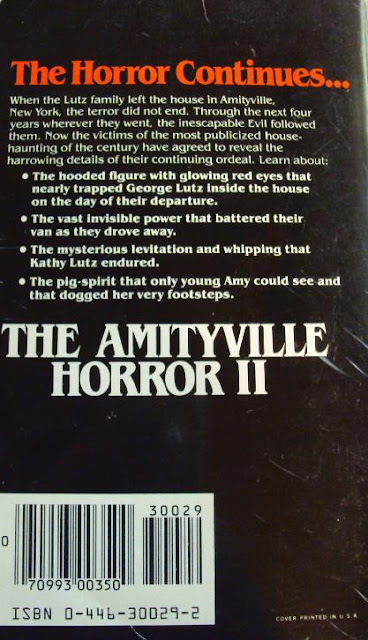 To be fair, the pig-spirit was in the original AMITYVILLE HORROR too. So were George Lutz and his lawyer still sitting around a table coming up with this stuff, or was it entirely in the hands of professional writers by this time? Pretty sure they only worked on the first one. And apparently it was Butch DeFeo's lawyer who helped come up with the story to get another trial for his client. That's right about the lawyer. WTF is Mr Lutz doing in that Warner step-back art? Groping his wife?